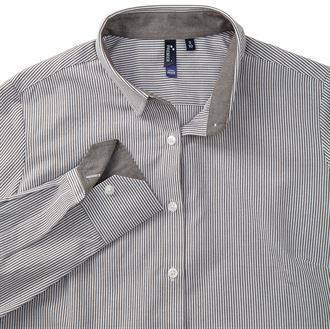 The new Oxford Stripe cotton rich shirt from Premier is designed with narrow vertical stripes for a touch of high street inspiration. - Classic button down collar. - Contrast inner collar and cuffs. - Two button cuffs with button on cuff gauntlet.